National Level Essay writing, Paining, Quiz Competitions for School Children 2017: PCRA has Launched a Nationwide painting Essay and quiz competitions. Petroleum Conservation Research Association, under the aegis of Ministry of Petroleum & Natural Gas, Govt. of India, is committed to make oil conservation a National Movement. As a part of its mandate, various literary and cultural events are conducted for school students. The Essay writing, Painting and Quiz competitions aim to raise awareness among youth about practical conservation tips for the conservation of Petroleum products in industrial, transportation, agriculture and domestic sectors, and how to practice such conservation in their daily lives. For effective communication, students may choose to present their ideas and messages for conserving petroleum products and reducing emissions, in English, Hindi or Regional languages. 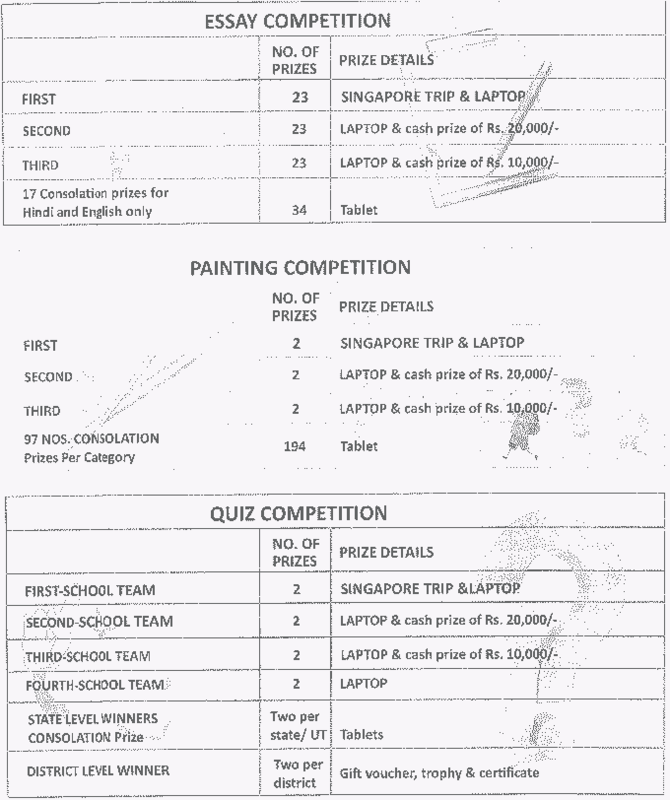 D: Individual Quiz for achieving Bronze, Silver or Gold Level. Participants: You can Enter Student details or upload through Comma separated file(CSV File). 3. Students List: You can view the student's list from in this section, you can modify it. Jury: KV/JNV & GOVT. Schools can nominate Jury details, who can be empanelled to evaluate Essay and Painting Competitions. 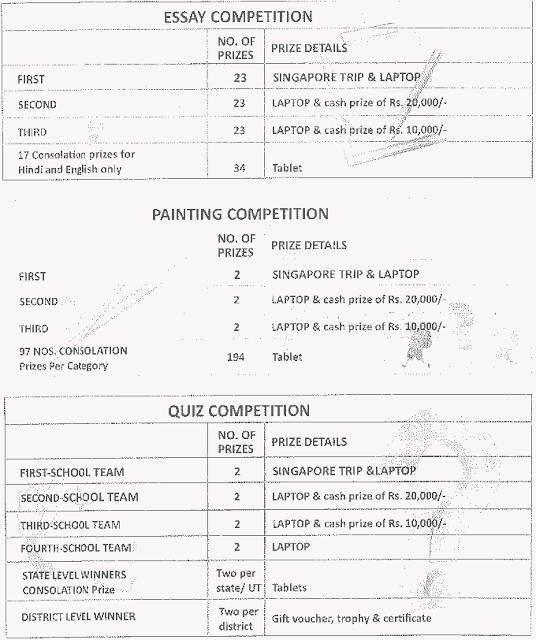 There are Three levels of competitions to participate. A. Quiz: First three levels are online quiz rounds. Fifth Round National Level National winners shall be felicitated at the inaugural function of OGCF 2018 in January’18. B. Painting: There are two categories.